This is the first category that I’ll be cheating on a little bit, since I haven’t seen Mandela: Long Walk To Freedom. Of all the Oscar Nominated films that I’ve yet to see, Mandela isn’t exactly the first of my priorities. Plus, it’s only nominated for Original Song, and I’ve listened to the song, so I think I’m qualified. Links to the songs will be provided. 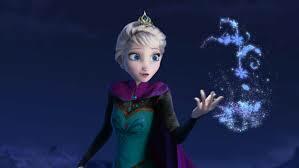 “Let It Go”. Being a musical, this song is actually sung by a character, so there’s that. But on top of that, the song is one of the more powerful moments in the film. The song is about Elsa, who is realizing that she doesn’t have to hold on to her powers or emotions anymore, after doing so for the past 17 years. The song is just beautiful, and Idina Menzel knocks it out of the park. And Disney has been campaigning like crazy, so I’d say this is your winner. Our next nominee is “The Moon Song” from Her. Being the only Best Picture nominee on the list makes it a solid contender, and the song is simple and sweet. However, how many people are really going to vote for this over “Let It Go”? While the song is good, the film will get it’s due in Original Screenplay. The Academy will probably think that one Oscar is enough. Finally, we have “Ordinary Love” The song is.. actually pretty darn good. I would imagine that it fits into the film well enough. And let’s be honest, even if this film didn’t campaign as hard as Frozen did, that speech that they gave at the Golden Globes might be enough. Of course, the Academy would probably only vote for the song because of Mandela’s passing and not due to any actual quality of the song. And after what happened with “Alone Yet Not Alone” I don’t think the Academy would want to try anything like that again.